The RADM C.W. 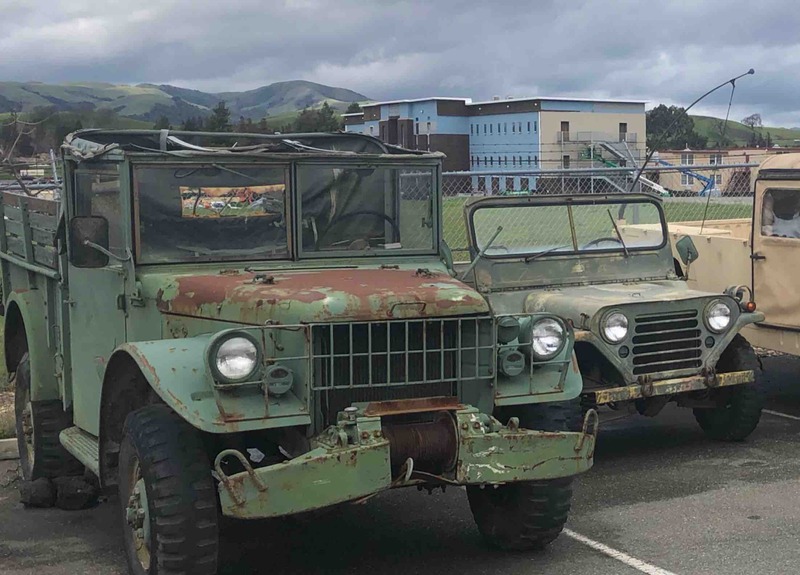 Parks Battalion located at Camp Parks RFTA, in Dublin, CA is working to raise funds for a Historical Military Vehicle Restoration Youth Training Program. No contribution is too small, please read more about our program and consider making a donation to this training and restoration program. With the support of the local Camp Parks Garrison Commander and US Army leadership, we are raising money to restore a few vintage military vehicles that are located on base at Camp Parks. We have combined the restoration of these vehicles with the education and training of our cadets. While most High School age youth are spending their time playing video games, there are still a few programs out there where our youth have dedicated their spare time to learning about the traditions of the US military and in this case a valuable mechanical skill and experience that many of our youth just don't have the opportunity to learn anymore. These vehicles are from the 1950s and 1960s and while structurally good shape, they need a full restoration. The vehicles will be stripped to bare metal and repainted. The engines and drivetrain will be removed and sent off to be rebuilt professionally. The brakes and tires will also be checked and rebuilt professionally, so as to ensure proper and safe operation. The painting, electrical, interior, canvas, accessories and details will be completed by our cadets with the supervision of adult volunteers and professionals. This historical vehicle project provides a number of benefits not only for our cadets to learn basic automotive and mechanical skills and maintenance, but gives back to our local military community in the form of Camp Parks pride of our military heritage, country and community. I know that many will see these vehicles and it will bring a smile to the faces of our cadets and various active and reserve military units that flow through Camp Parks RFTA regularly. It will also bring a sense of pride to our unit sponsors: The Pleasanton American Legion Post 237, Pleasanton VFW Post 6298 and our local U.S. Navy hosts - the U.S. Navy “SeaBees" NMCB 18 Det 1018 located at Camp Parks Bldg 611. This project fits nicely with the traditions of the U.S. Naval Sea Cadet Corps in the areas of Technical Skills Training, Military Honor, Pride and Heritage. Since 1958, the Naval Sea Cadet Corps (NSCC) has been committed to providing American youth, ages Ten to Seventeen, who have a desire to learn about the Navy, Marine Corps, Coast Guard and Merchant Marine. 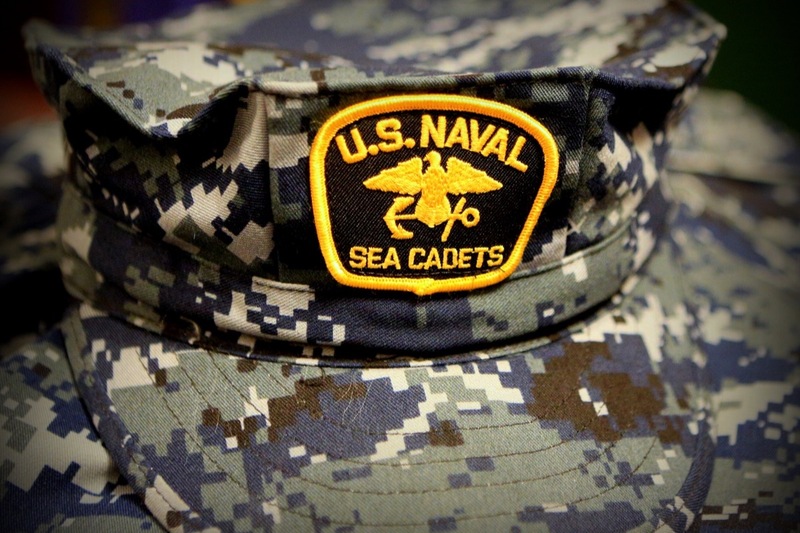 Sea Cadets are authorized by the Secretary of the Navy to wear Navy uniforms appropriately marked with the Sea Cadet Corps insignia. The objectives of the Sea Cadet program are to introduce youth to naval life, to develop in them a sense of pride, patriotism, courage, and self-reliance, and to maintain an environment free of drugs and gangs and guide them to becoming mature young adults. Our unit bears the name of the military leader that Camp Parks was named. Rear Admiral Charles W. Parks was credited for establishing the U.S. Navy Construction Battalion (known as the SeaBees). Camp Parks was also the largest SeaBee facility on the West Coast during WWII and helped grow the surrounding East Bay communities. Recognizing the importance and benefits of the NSCC, Congress on September 10, 1962 federally incorporated the Naval Sea Cadet Corps under Public Law 87-655 (36 USC 1541). Since 2012, RADM C.W. Parks Battalion has been steadily increasing the number of cadets and the depth of our overall training programs and community involvement. In 2016, we were established as a 501(c)(3) charitable and educational nonprofit organization with the IRS and CA State Franchise Tax Board. Our unit consists of over fifty active cadets and over ten dedicated officers and adult staff. Our attendance is one of the highest in the country with nearly 90% regular attendance for drill weekends. In 2018, RADM C.W. Parks Battalion along with our younger Navy League Cadets (ten to thirteen years) were recognized as the #2 combined unit in the country and our Navy League Cadets as the #3 unit in the country on their own. In alignment with U.S. Military Reserve units, our unit drill one weekend each month and also participates in many community service outreach events throughout the year working closely with the Pleasanton American Legion and VFW posts and other local veterans and community groups. RADM C.W. Parks Battalion provided over 1300 hours of community service during 2018 including: support of Military Family events and Pack Outs, Parades, over 13 separate Color Guard performances, support of San Francisco Fleet Week, Camp Parks Beautification Projects and support of the East Bay Stand Down event at the Alameda Co Fairgrounds – helping displaced Veterans by providing free support and care services. I hope you see the value in not only the youth training aspects of our program, but the historic military heritage and preservation benefits that will be provided to our local military personnel and veterans. Our first training weekend was a huge success! Our cadets attended Saturday morning classroom instruction on shop safety, learned some military history of the Jeep, operation and maintenance of the M38A1, hand & power tools and their uses, proper documentation procedures for a restoration, performed a hand tool lab exercise...and then spent the rest of the weekend removing and documenting all major body components from a 1954 M38A1 Jeep! Our first US Naval Sea Cadet Vehicle Maintenance Training Program starts on 3/30/2019. We are need of these additional funds to keep the program going through the rest of the year and complete the work on the other two vehicles! Thank you all for your ongoing support of this youth training and military preservation program!